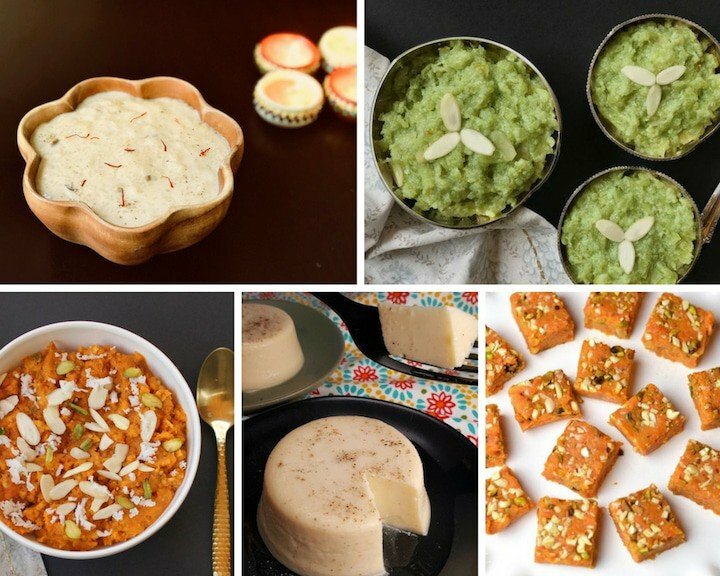 11 Delicious and Easy Indian Dessert Recipes for your Instant Pot. 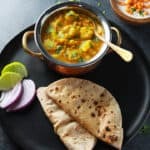 Vegetarian & Gluten free, with authentic Indian flavors! Instant Pot has made our lives so much easier. 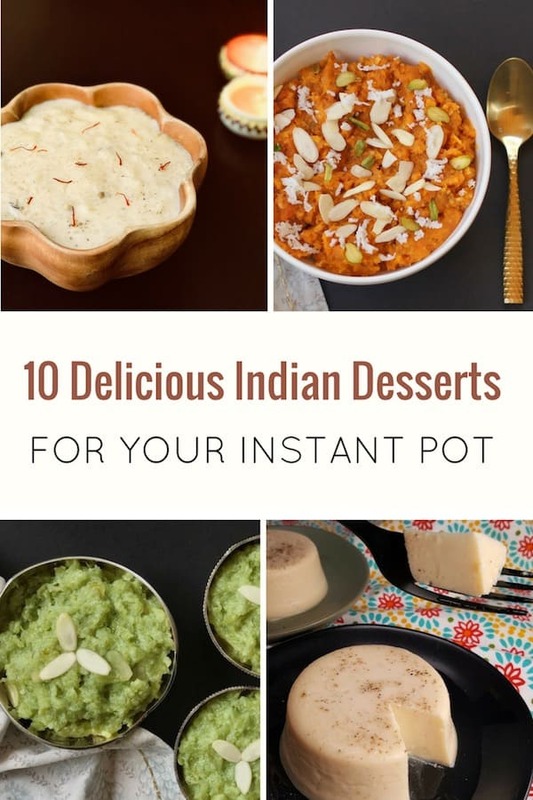 We love to cook in our Instant Pot and we love Desserts, so let’s see all the amazing Indian desserts you can make in your favorite pot! Many Indian desserts such as Kheer (Rice Pudding) take a long time and lots of active stirring on the stovetop. However in the instant pot, they are almost hands free. It is such a great convenience when you want to make desserts for a get-together or party. 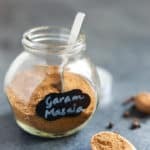 Here I am sharing the best Indian Desserts that can be made in the Instant Pot. I am sure you will love them, and if we are missing any of your favorite, comment and let us know. Let’s start with the most favorite Indian dessert – Kheer. This is a pudding made with rice, milk, infused with generous amounts of cardamom, saffron and dried fruits. Making Kheer on the stovetop is an endeavor of 2 hours with lots of stirring involved. Hence we call Kheer made with the Porridge mode in instant pot a game changer. 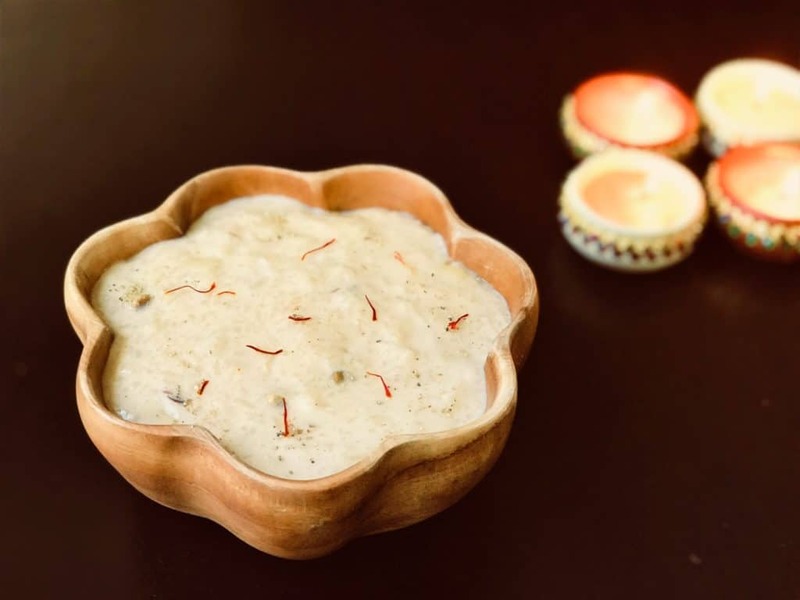 If you are a brown rice fan, check out the Brown Rice Kheer. 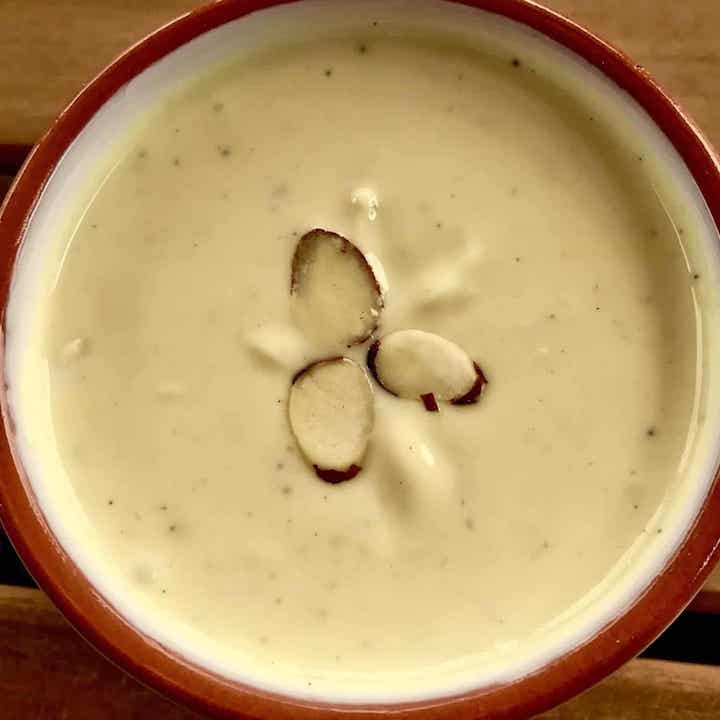 Quinoa lover, check out this Quinoa Kheer. 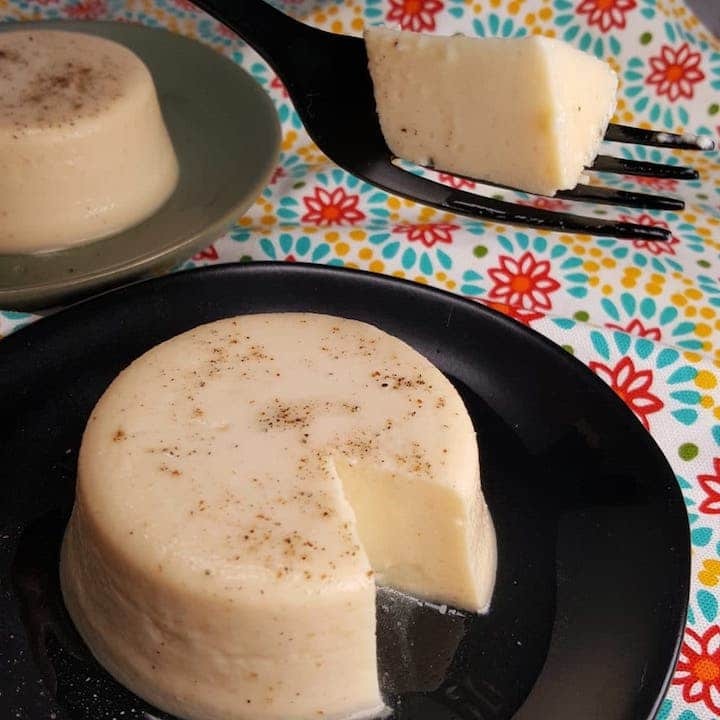 A wonderful 2-ingredient flan-like dessert, called Bappa Doi. This is a steamed yogurt pudding from the state of West Bengal. Made from strained yogurt and sweetened condensed milk, this dessert tastes like a cheesecake when cooled. 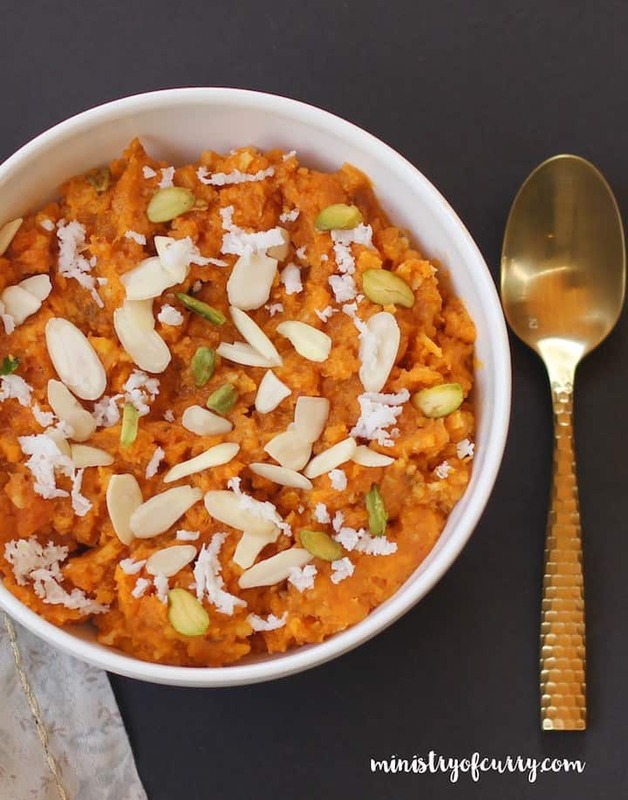 Gajar ka Halwa or Carrot Halwa is made with grated carrots, milk, sugar, cardamom and almonds. This is a healthy and delicious dessert from North India. 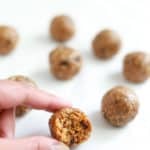 Making it in the instant pot is so easy and needs very less monitoring, and you will not miss the same delicious taste. 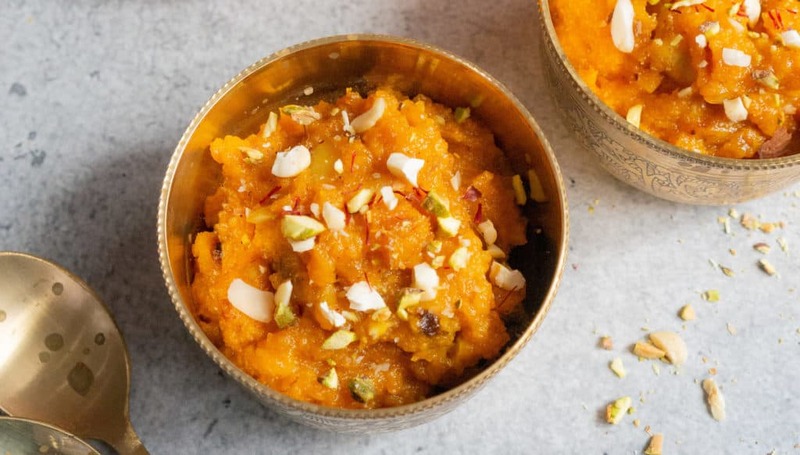 A delicious dessert made with Sweet Potato, almond milk, sugar, coconut, and hints of saffron and cardamom. It has melt in the mouth textures and is lightly sweetened. 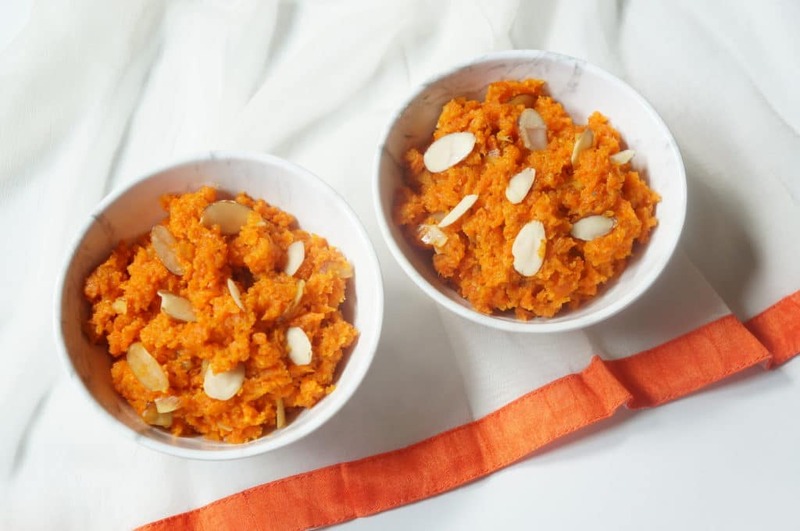 Enjoy this healthy dessert of sweet potatoes, that are a good source of fiber and vitamins. 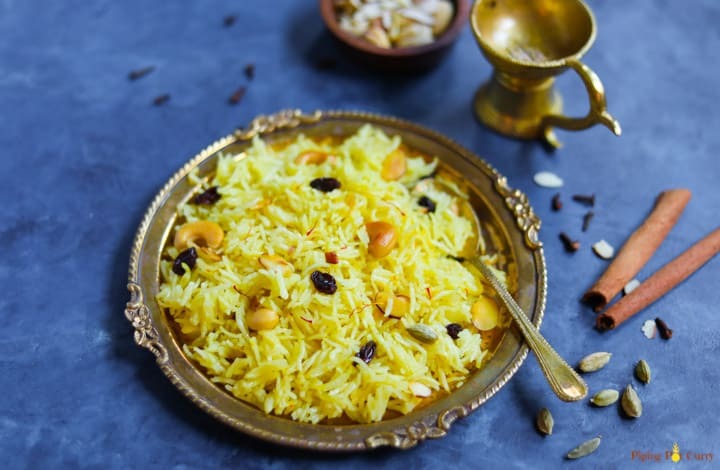 Seviyen Kheer is a delicious and creamy pudding made with vermicelli, milk and sugar, infused with aromatic saffron, cardamom, nuts and raisins. This is another dessert that is very quick and hands free to make in the instant pot. A cool and creamy dessert made with strained yogurt, cardamom and sweetener. 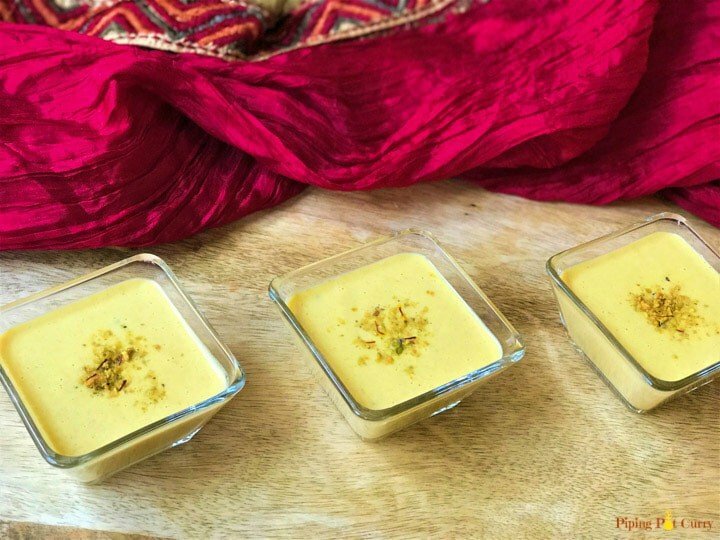 This is one of the easiest Indian desserts, that can be made with minimal ingredients. 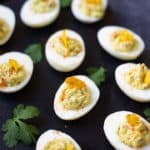 This can also be made in advance for an occasion and refrigerated. A delicious no added sugar dessert. You might wonder if a no sugar dessert is even possible? Here is Carrot Pudding that is made with carrots, milk, cashews and dates, with the added aroma of cardamom & saffron. The sweetness in this dessert comes from dates. You would not mind yourself or your kids asking second and third servings! 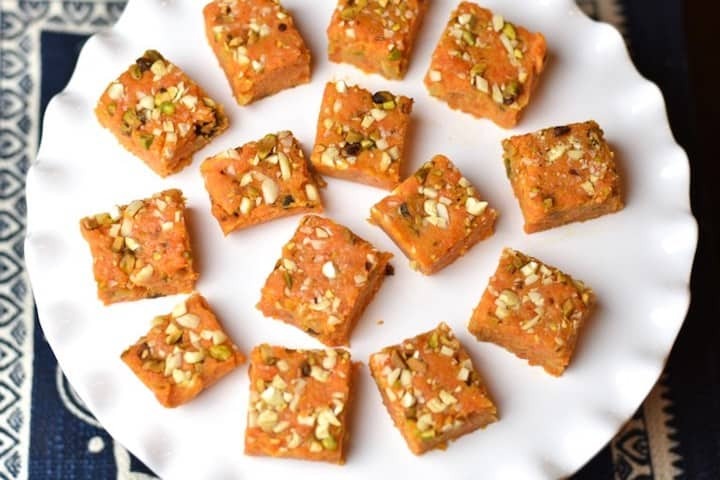 Carrot or Gajar ki Burfi, is a fudge like variation of the class dessert Carrot Halwa, which is from the region of Punjab in North India. It is made with grated carrots, ghee, sugar, milk and nuts. 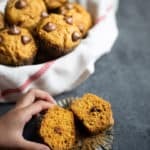 This variation of carrot fudge is made healthier with the addition of Almond meal. 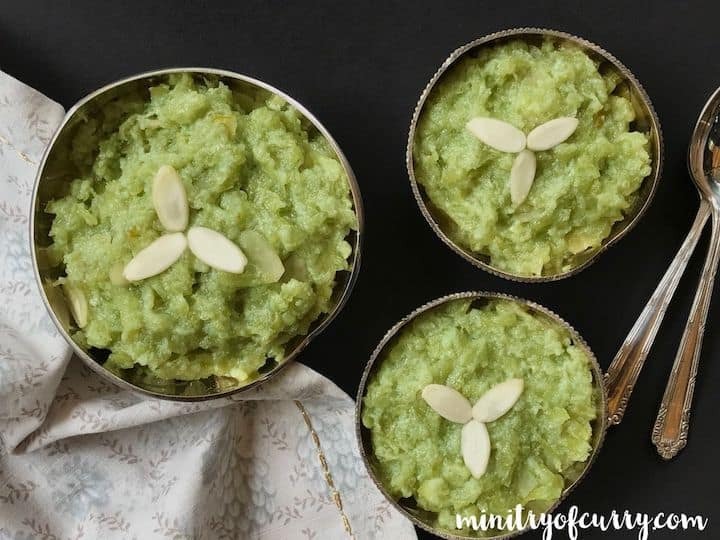 Dudhi Halwa is a popular Indian dessert made with grated bottle gourd, sugar and milk. This luscious Dudhi Halwa is lightly sweet and has a creamy pudding like texture with the aroma of vanilla! 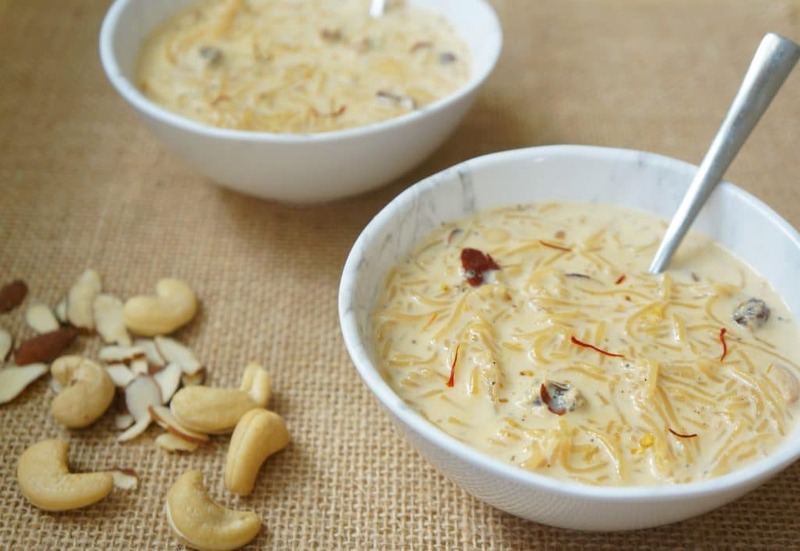 We hope you have found a recipe for your favourite Indian Dessert to make in the Instant Pot! Let us know which dish you’re most excited to make, and share this roundup with your friends! 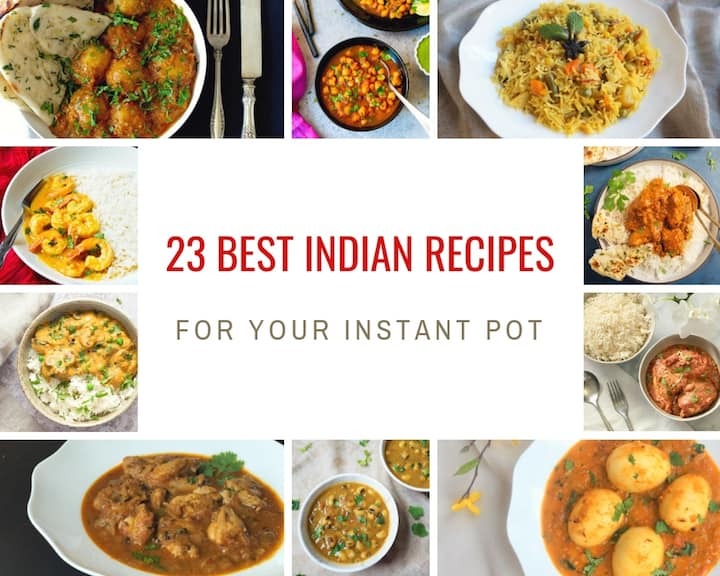 Don’t forget to check out our roundup of 23 Best Indian Instant Pot Recipes from the best blogs for Indian Instant Pot Cooking.